Odds and Ends: Art Contest, Auction Donations, Upcoming Chapels, and MORE! March is here and, Lord willing, sunny days are ahead of us! There is MUCH to look forward to in the days to come. Here are a few up coming events and activities to make note of. Student entries for the art contest are due this Friday. There is still time to grab some special paper from Mrs. Garnier and submit an entry. Winners will be announced next week! Auction donations have been really great. Thank you. We have extended the deadline and are still accepting donations. Please touch base with Angela Short THIS week if you have an item you are planning to donate. In the meantime, check out the auction blog at http://www.ovcsauction.com and mark your calendars for April 11th. We are starting a new chapel series this month on the topic if the “I am” statements made by Christ as recorded in the book of John. Mr. DeLapp will kick off the series on Wednesday, March 11th. Pastor Ken Baratta is up the following week with a look at “I AM the Bread of Life” as found in John 6:35. Mr. Weirick will continue the series at the end of the month in a message on “I AM the Light of the World” from John 8:12. The series will continue into April. Feel free to come and join us — Wednesdays from 9:20-10:00. Lastly, today is the start to our MARCH CRAZY DAYS with Pajama/Slipper/Stuffed Animal Day. You should all have received a calendar. There will be additional information going home on a few new themes. In the meantime, here is a look at what’s happening this week. 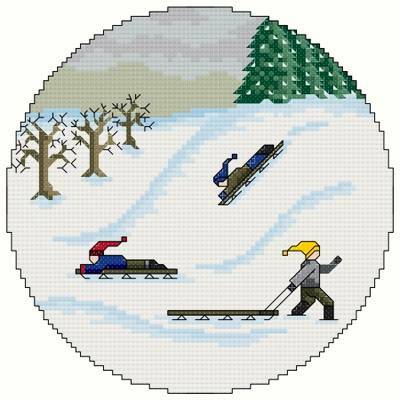 Friday the 6th — Sledding Party and Jean’s Day! Half Way Through the School Year! Did you realize that this Friday marks the end of the 2nd quarter? Wow! Report cards go home next week. Thanks to everyone for the work you have done to make the first half of the school year wonderful! We have a number of wonderful speakers scheduled over the coming weeks. Please consider this an open invitation to come and join us! Chapel is from 9:20-10:00 am on Wednesdays each week.